“Before you crank the prop make sure you’ve got the chocks in place and the throttle 1/10th opened or otherwise you’ll be chasing the airplane down the field.” So were the words of advice from my Dover Aero Club instructor, a C-124 pilot with the 15th Air Transport Squadron. He and I would be crewmates on the historic C-124 non-stop flight from Hickam AFB, Hawaii to Dover AFB in February 1960 logging eighteen hours and forty minutes. 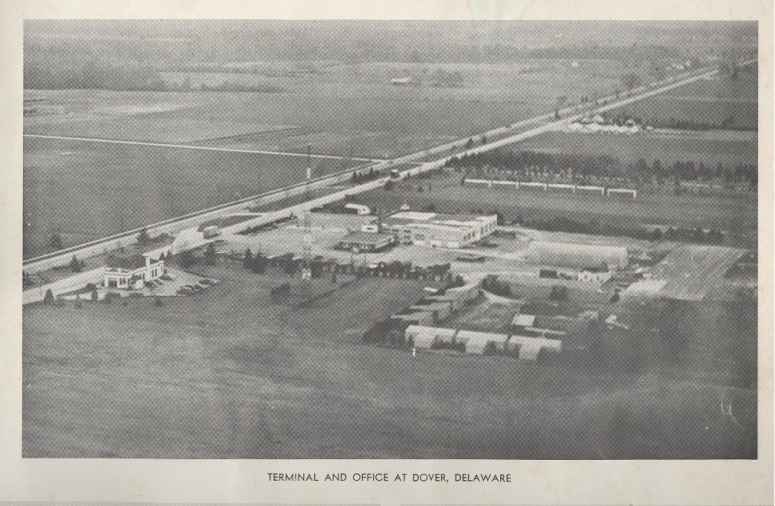 Back in the 1950s and into the early 60s, Dover AFB’s Aero Club was near where the Dover Mall and Dover Downs are now located and adjacent to the Delaware State Police Barracks on the DuPont Highway, Route 13. The field was called Dover Airpark and the property was owned by U.S.A.C. Trucking Company (U.S. Aeroplane Carriers, Inc.). According to George Frebert’s book “Delaware Aviation History,” U.S.A.C. truckers could be seen anywhere in the 48 states and Alaska during the 1940s in support of the war effort. Following the war, U.S. Aeroplane Carriers was changed to U.S.A.C. Transport to better define its operation in moving more than just airplanes. 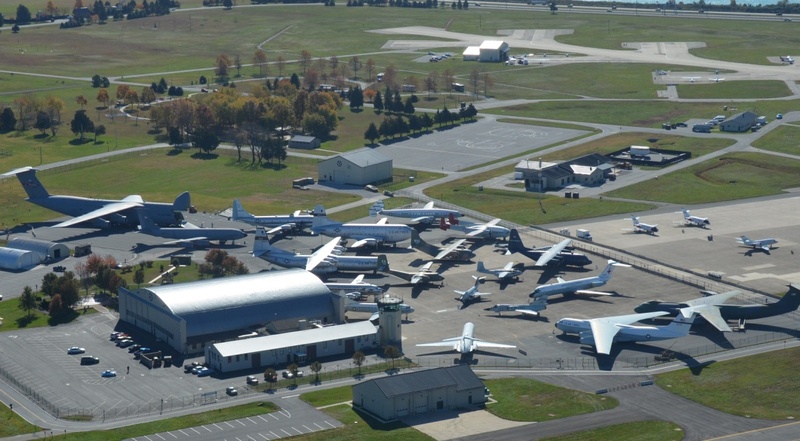 Dover Airpark closed in 1964 to make room for Dover Downs. At the time of my involvement, the mid 50s to 1960, the Aero Club had a Piper J3 Cub and another, that I do remember, an Aeronca Champ. Others may have been available for use; however, time dims the memory. I was checked out in the J3 Cub. There were only a few times I left the boundaries of the Eastern Shore. There was no need to go anywhere else as Delaware, Maryland and Virginia were awash in beautiful landscapes before the influx of housing developments that claimed much of the forests, farm land and grass-strip airfields. Some may think flying the Piper Cub was routine and most of the time it was. However, on one occasion it got a bit hairy. For the private pilot a lot of the flying was VFR and the J3 was not radio-equipped and contact with the tower, if there was one, was made with a signaling light gun. Green from the tower if cleared to land, Red – do not land. Well, on one occasion, intending to land at New Castle Airport, I was given the green light. On approach and without any warning a B-57 Canberra flew over me with what seemed just a few feet to spare. Well needless to say that was it for the day! Emergency procedures were practiced during most every flight. It was very important to have a section of the landscape laid out just in case the single engine was to call it quits. Stalls were also practiced. Didn’t like those too much, but the J3 was very forgiving and did not require any extreme stick movement to recover. 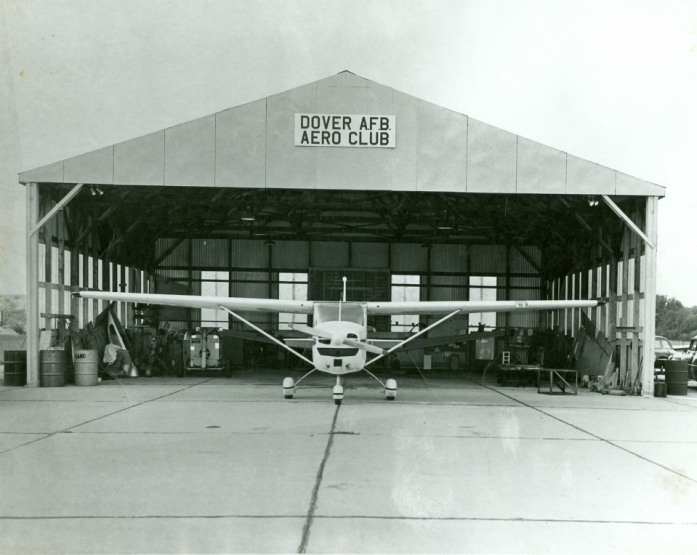 The Aero Club continued to operate from Dover Airpark until around 1961 when it was moved to Milford Airpark where six aircraft were available to its members. Milford was known for its “Fly-In, Drive-In” Restaurant, with curb service. The “Great March Storm” of 1962 flipped two of the Club’s aircraft on their backs: a Cessna 172 and an L-17 Navion. Both aircraft were rebuilt and returned to service. Later in 1962, the Club moved to Dover AFB where after a short time it went into hiatus. Milford Airpark closed in 1989. The Navion L-17 and Cessna 172 on their backs following the Great March Storm of 1962. Following the Aero Club’s reopening in 1987 membership has changed year to year from as few as seventy enthusiasts to more than 200 and has held at about 160 for the past few years. The Club has an exceptional safety record with over 25,000 accident free hours. Eighty-five percent of all of the Club’s flying is for training and more than 200 members have received a new certificate or rating since 2002. Thirty Air Force pilots have received their initial flight training through the Dover Aero Club. The Club moved into its new dedicated building in 2009 and has allowed, for the first time, all of its operations to be in a single location. It was also recognized as a five-star facility for six years. How much longer the Air Force will have aero clubs is an open question. At one point there were around 120 (sanctioned and unsanctioned) clubs, but with base closings and other issues as of 2015 the number is now down to 17. Both the Navy and Army have closed most of their clubs. People may eventually need to find other places for flight training or return to the unsanctioned aero clubs of the past. Learn more about Dover’s Aero Club on its website. A Cessna 172 in its hangar at Dover AFB, Delaware, following its move from Milford. Dover’s Aero Club can be seen in the distance from the AMC Museum. I am the Son of Lt. Col. John R. Tracy. In 1954, I was six years old when my family arrived at Dover AFB from Kadena AFB on Okinawa. My Dad was flying C-54’s but quickly transitioned to C-124’s and then C-133’s retiring in 1966. My love for aircraft and flying has never declined from my days as a young boy sitting in the family car at the end of the road next to the old MARS station watching my Father taxi to the active for his departure! I can still hear the screeching of the brakes on “Old Shaky” that did so no matter how gently they were applied. A quick wave to the crew member scanning from the bubble and with a mighty roar, he was gone! As the 1950’s soon became the 1960’s I had still never been off the ground! That was until a certain day in, (as best as I can recall), the fall of 1962 or early 1963, when my Dad asked, “Hey Mikey! Wanna go FLYING?” I was already airborne! We expeditiously drove to the base and worked our way out around or behind the old 95th area to a small hanger that held the aircraft born to let me fly! The Ryan Navion! The pre-flight, engine start, and taxiing to the active was a massive sensory overload for me! That was until he turned onto the active and applied max power! Instantly we were off the ground and climbing to regions never seen by my young eyes! Sensory overload?!?! Oh you betcha! I was my Father’s Son! Born to be a pilot! Born to fly! Soon after, my Father bought a C-18-S Twin Beech that we flew out of Al Johnson’s crop dusting strip! Dad taught me aerodynamics, fundamentals of flight, navigation and weather allowing me to fly the Beech whenever I could talk my Mother out of the right seat! Finally got my “legal” ticket when I came of age flying as much as possible until diabetes and a couple of heart attacks grounded me forever. No regrets as I’m blessed to have had the many opportunities to fly! More importantly, I will ALWAYS remember the DAFB Aero Club, the Navion, and my Dad for provided me with my introduction to the love of flight! I just retired from giving clinical anesthesia for the last 37 years.